Here is an amazing, mid century wonder: A Danish Modern piano, originally owned by one of the architects who design Eichler houses. This piano is actually for sale — its owners Tina and David subscribe to my weekly newsletter and send me the for-sale link the other day. They say that, “A limited number of these pianos were made in the 1950s by Louis Zwicki in Denmark.” A Danish Modern piano — who would have thunk it? Gorgeous…. If you are interested in buying this antique Zwicik piano [link now gone]. May I also keep your listing info and photos for posterity, Tina and David? Good luck! PRICE JUST REDUCED. Whether you’re a pianist, a collector of mid-century furnishings, or both, this Minor Model pianette is a rare find. 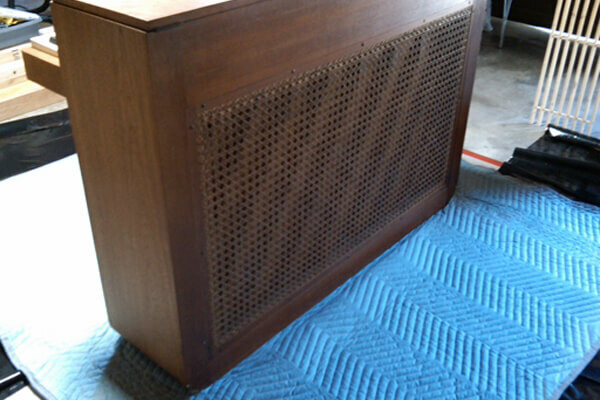 Beautiful mid-century design features a teak case with wicker grille on the back, plus matching wicker top bench. It has been wrapped and stored since we purchased it from Modern i in San Anselmo 8 to 9 years ago. It probably needs a tuning, but otherwise is in perfect, ready-to-play condition (there is the most minor scuffing on the front left corner below the keys, barely noticeable). 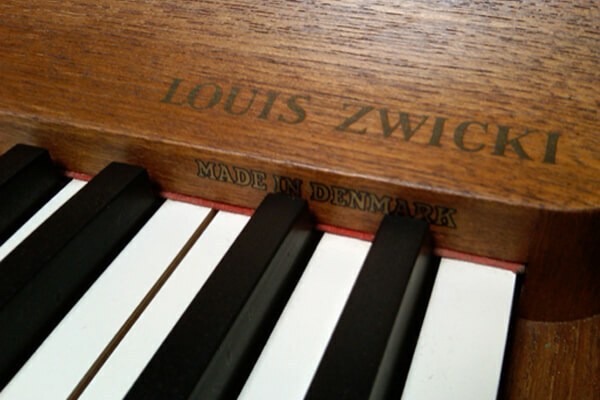 A limited number of these pianos were made in the 1950s by Louis Zwicki in Denmark. It’s original owner was a well-known, Bay Area architect, Frederick E. Emmons of the architectural firm Jones + Emmons, who designed homes for Joseph Eichler. It was sold to him by the Penny Owsley Music store in LA (her name is also on the piano), one of a handful of detailers in So. 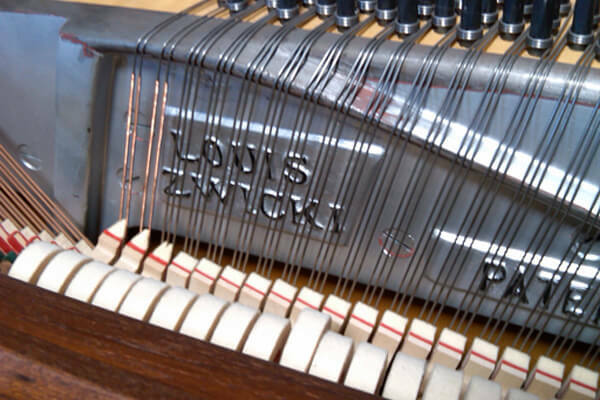 CA with exclusive rights to sell Zwicki pianos. Comes with matching single seat bench (not pictured). Gorgeous! And I think — the first piano I have ever featured on the blog. Readers, do you have pianos in your homes? Hi Paul — I clicked the link in the story, and the piano appears to be sold. The story was very old — originally published in 2011. Good luck in your hunt! 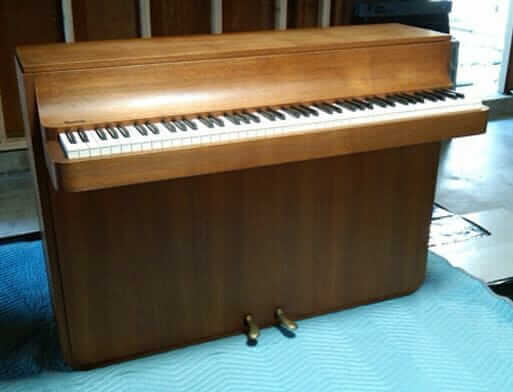 I have just the same piano and I would like to sell it, but I don’t know what price can be sold. Could you help me? Is anyone interested in it? Sorry if I was not appropiated and thanks for your help. Sorry if I was not appropriated and thanks for your help.